If we’ve learned one thing from this year in American politics, it’s that presidential appointments can be a messy affair. Debates over appointees can become extremely polarized. It’s not surprising: it’s in the President’s best interests to choose a head of the Department of Justice or Education who will loyally carry out the administration’s agenda in those offices. But there’s one office that simply should not be politicized in that way: the Copyright Office. Unfortunately, some lawmakers are looking to turn the Register of Copyrights into a political appointee. The Register of Copyrights Selection and Accountability Act (H.R. 1695) passed the House of Representatives last year, and now, the Senate is looking to take the bill up. Under H.R. 1695, the Register of Copyrights would become a presidential appointee, just like the directors of Executive Branch departments. Naturally, the president would appoint a Register who shares their interpretation of copyright law and other policy stances, and the nomination could come with a highly partisan confirmation process in the Senate. The Copyright Office is at its best when it has no political agenda: it’s a huge mistake to turn the Office into another political bargaining chip. The Register of Copyrights has two important, apolitical jobs: registering copyrightable works and providing information on copyright law to the government. The Office serves officially as an advisor to Congress, much like the Congressional Research Service (both offices are part of the Library of Congress). It has never been the Register’s job to carry out the president’s agenda. That’s why the Copyright Office is situated in Congress, not in the Executive Branch. H.R. 1695 is only the latest step in a trend of increasing politicization in the Copyright Office over the past decade. Former register Maria Pallante infamously said that “Copyright is for the author first and the nation second,” a far cry from copyright’s Constitutional purpose of promoting the advancement of science and knowledge. Under Pallante, the Copyright Office also supported the Stop Online Piracy Act, the Internet blacklist bill that would have been a disaster for free expression online. 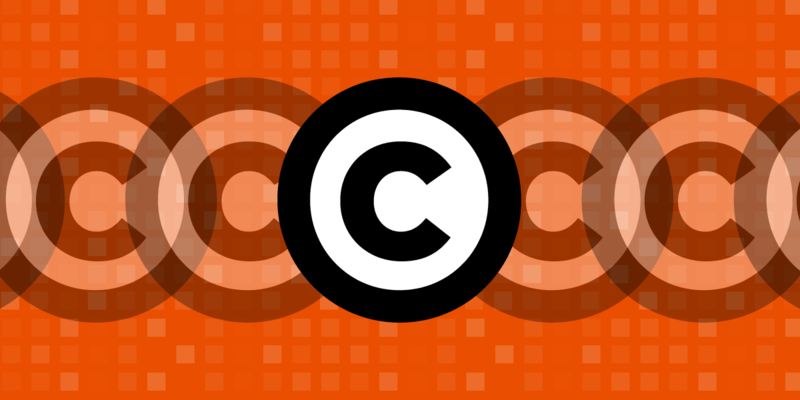 More recently, after being targeted by an aggressive lobbying campaign by the MPAA, the Copyright Office worked to undermine the FCC’s plan to bring competition to the cable box market. These policy missteps might be just the beginning. Imagine how much worse they would be if the Register were simply another presidential appointee subject to political agendas that have nothing to do with objectively advising Congress. The Copyright Office carries significant sway over how people interact with copyrighted works—and, by extension, how we interact with technology. Beyond its traditional role of registering copyrights, the Office has a new job: granting the public permission to bypass digital locks for purposes like education and security research under Section 1201 of the Digital Millennium Copyright Act. And under a bill that’s likely to pass Congress this year, the Register will be given the authority to decide whether uses of certain historical sound recordings qualify as “noncommercial.” These jobs demand a Register who understands that the purpose of copyright—first, second, and always—is to serve the public. Don’t turn the Register into yet another political appointee.